Ah Spaceballs, you never grow old (with apologies to Jason Schwarz).Speaking of, this Schwarz Shiraz is a youthful number too. 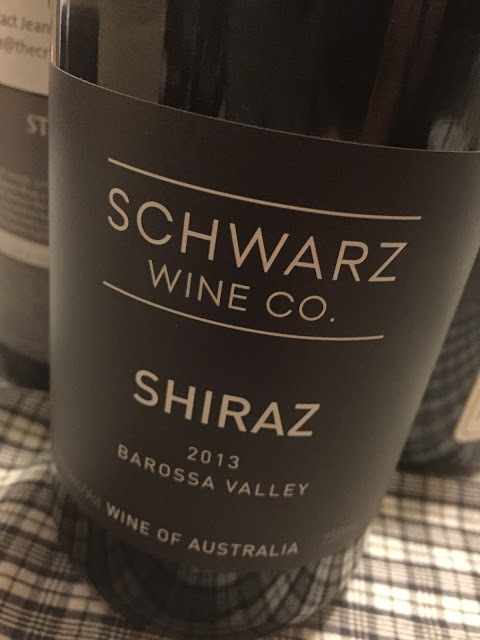 All the Schwarz reds look just-bottled actually, built in a rich and oaky style that is immediately easygoing. A blend of 86% Shiraz 14% Mataro, this is inky purple in colour and dripping with sweet purple fruit and sweet vanilla oak, served with and a licorice side salad. It’s very rich, milk chocolate oaky and very sweet, the generosity a real feature point.Going to be a very popular wine this, though just too much about sweetness (oak and fruit, not sugar) to seduce me. Would I buy it? Not quite. I’d recommend it though.